State-of-the-art burglar alarm systems from Brinton Security give you and your family the best defense possible from break-ins and theft. 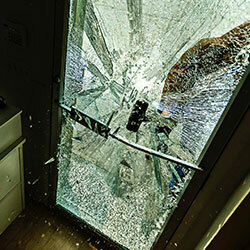 Break-ins do not just occur in poor neighborhoods. In fact, suburban neighborhoods with low crime rates can still experience a break-in. With state-of-the-art burglar alarm systems from Brinton Security, you and your family will have the best defense possible from break-ins and theft. The color touch screen control panel is the first smart home system that responds to your life. You’ll never have to wonder if your home is secure or worry that you may have forgotten to lock the doors. Just access the control panel and ensure that all is well. 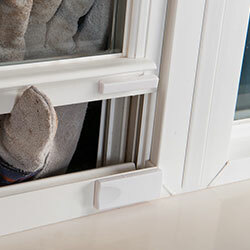 Without important features like glass break sensors, security rests on the hope that someone is home nearby to hear the sounds of forced entry. With glass break sensors, you can receive real time alerts on your smartphone and with 24/7 monitoring, help is summoned immediately. Safeguard your home from unauthorized entry with a monitored intrusion detection system. Motion, door, and window sensors provide you, and monitoring professionals critical information about what is going on in your home. With the mobile app from Alarm.com, you can control and manage your system from anywhere. Rest easy. We’ve got you covered. 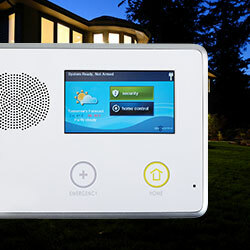 Enjoy peace of mind protection, day or night with around the clock monitoring for burglary, fire, medical emergencies, or system support. A well-rounded burglar alarm system will include other modules that are essential to protecting your home and family. The added protection of fire & smoke alarms and video cameras are available from Brinton Security. Every home security system that we install can be easily upgraded to include home control with Z-Wave home automation systems.